Averages shout, and individuals whisper. That, in a nutshell, is the frustration of single-cell transcriptomics. Although innumerable cell types have unique gene-expression profiles, they are hard to discern. Great, thundering herds of cells typically give up their RNA to be sequenced all in one batch. It is possible to effectively cut cells from the herd with a technique called RNA-seq, which enables RNA sequencing with single-cell resolution. Still, RNA-seq does not provide an effective way to routinely isolate and process large numbers of individual cells for quantitative in-depth sequencing. This limitation, however, may soon be lifted. According to two teams of scientists at Harvard Medical School, microfluidics can be combined with genetic barcoding to bring about high-throughput single-cell transcriptomics. One team, in the laboratory of Steven McCarroll, developed a technique called Drop-seq. The other team, in the laboratory of Marc Kirschner, developed a technique called inDrops. Both methods use microfluidic devices to co-encapsulate cells in nanometer-sized water droplets along with genetic-barcoding beads. The droplets get created in a tiny assembly line, streaming along a channel the width of a human hair. 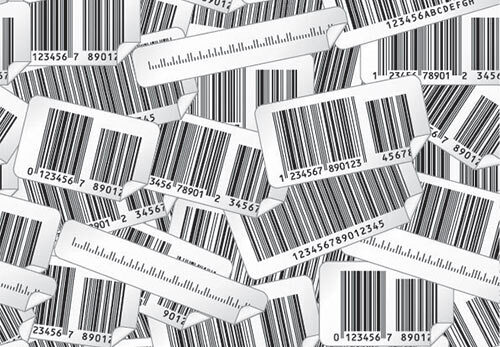 The bead barcodes get attached to the genes in each cell, so that scientists can sequence the genes all in one batch and still trace each gene back to the cell it came from. The McCarroll and Kirschner labs were able to advance work initiated by the researchers Evan Macosko and Allon Klein, respectively. Macosko and Klein make their beads in different ways. The droplets get broken up at different steps in the process. Other aspects of the chemistry diverge. But the result is the same. After running a single batch of cells through Drop-seq or inDrops, scientists “can see which genes are expressed in the entire sample–and can sort by each individual cell,” said Klein. They can then use computer software to uncover patterns in the mix, including which cells have similar gene expression profiles. That provides a way to classify what cell types were in the original tissue—and to possibly discover new ones. McCarroll, Macosko, and their colleagues are excited to explore the brain with Drop-seq. With luck, that will include discovering new cell types, constructing a global architecture of those cell types in the brain and understanding brain development and function as they relate to disease. Although both teams are excited by the massive amounts of data they and other researchers will obtain from Drop-seq and inDrops, they realize the sheer volume of information poses a problem as well. “We have thousands of cells expressing tens of thousands of genes. We can't look in 20,000 directions to pick out interesting features,” explained Klein.